A newborn can stretch a family’s finances beyond breaking point. The household income can be significantly reduced when a baby arrives, particularly if one parent quits work to take on childcare duties. At the same time there is the added expense of buying for the baby. If parents need to get their hands on extra cash, relying on credit cards or arranging a loan may provide a short-term fix, but that may not be an option for those with an adverse credit history. In that case, a mortgage break may be the only practical solution. More and more mortgage products offer borrowers greater flexibility and the chance to take payment breaks. Half of all mortgage products offered this option in 2007 and by April 2008 it was up to 58 per cent. Terms and conditions will vary from one lender to the next, as the Financial Services Authority does not dictate criteria to lenders when it comes to mortgage breaks. In some cases, a borrower can get a six-month payment break having been a customer for just three months. 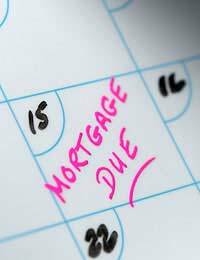 Other lenders will insist that borrowers wait at least a year before taking a mortgage break, and even then will only allow a one or two-month break. Longer mortgage breaks are available – up to a year – but lenders may insist on the mortgage being less than 80 per cent of the value of borrower’s home at the end of the payment holiday. Some lenders will not actively promote the option of a mortgage break and will allow it only if the borrower has already overpaid their mortgage and will not end up in arrears. It is not an option at all with some lenders, and payment holidays do carry some baggage in that the borrower is, in effect, extending the mortgage, as any missed payments are added to the original loan. A mortgage break can prove more expensive than a loan in the long run, as borrowers have got to pay the money back plus interest. Borrowers should ask lenders to provide a detailed illustration of how much a few months off could cost them in the end. Those on a cheap, fixed-rate mortgage deal should consider the best time for a mortgage break. There is no point in sacrificed a year of a cheap deal and then ending up on a much higher interest rate when it is time to repay the extra money. Of course, anyone considering a mortgage break must have their lender’s permission before stopping payments, as any unauthorised non-payment will go on record as arrears and can affect a borrower’s credit rating. With authorisation a mortgage break will not affect a borrower’s rating, as lenders use special codes for customers taking mortgage breaks when updating records. This shows up on the credit record as if the mortgage were up to date. If customers are concerned about their credit rating, they should get a copy of their credit report a couple of months into their mortgage holiday to check the details are correct.